All Adam Schefter has to do in life is follow football. So when he reports a trade, you should perk up and listen. According to the ESPN football...guy, the Philadelphia Eagles have traded Pro-Bowl running back LeSean Mccoy to the Buffalo Bills for linebacker Kiko Alonso (whose stats are available here). The Pro Football Writers chose Alonso as their Defensive Rookie of the Year in 2013, but he missed all of last season with a torn ACL. In being sent to Philly, Alonso will be reunited with Chip Kelly who coached him in college at Oregon. 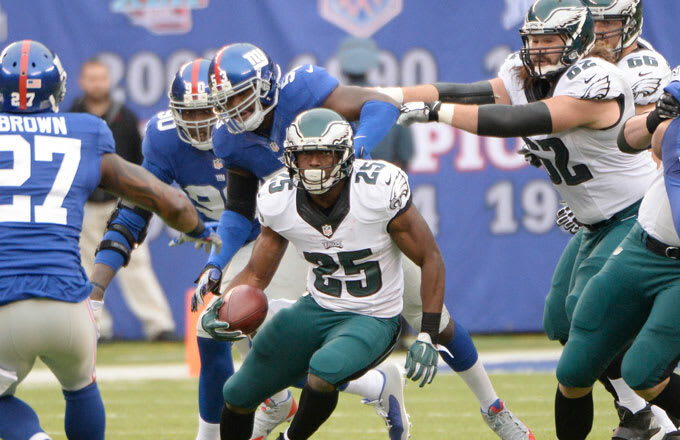 As for McCoy, the three-time Pro Bowler will be 27 for this upcoming season (that&apos;s middle aged in running back years) and has run for almost 3,000 yards in two seasons under Chip Kelly&apos;s offense. He led the NFL in total yards in 2013, and has started every game over the past two years.